Autism is one of the symptoms that are feared by parents. Recognize the symptoms of autism is essential. Statistics show that one out of fifty children are diagnosed with autism before the age of eight.Autism is a disorder in children group consisting of impaired social interaction, difficulties in verbal and nonverbal communication, repetitive behaviors, and interest in certain things that are not uncommon. The cause of autism remains unclear. 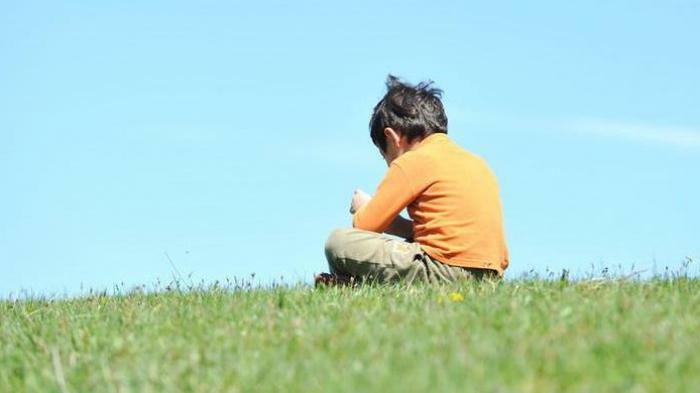 Until now, experts are still conducting various studies to find a variety of risk factors underlying autism. Nevertheless, experts has conclude some of the things that is suspected to be the cause of autism, such as genetic and chromosomal abnormalities, infection of rubella during pregnancy, and pregnant above age of 40 years. 1. Children do not turn when called. 2. Children do not turn when parents ask to look at an interest object. 3. Children rarely babbling or not babble after the age of 12 months. 4. Children never pointed towards an object after the age of 12 months. 6. Children are not utter a single word after the age of 16 months. 7. Children are not able to arrange two words after the age of 24 months. 8. Children do not like to establish eye contact with others. 9. Children are particularly bound fond of hard objects excessively compared with soft objects. 10. Children less interested in social interaction. If the parents feel there is signs as above related to children. Immediately take the child to a doctor for further examination. Although there is no cure for autism, early treatment will give more significant results for children.